Which is the Biggest African Island? 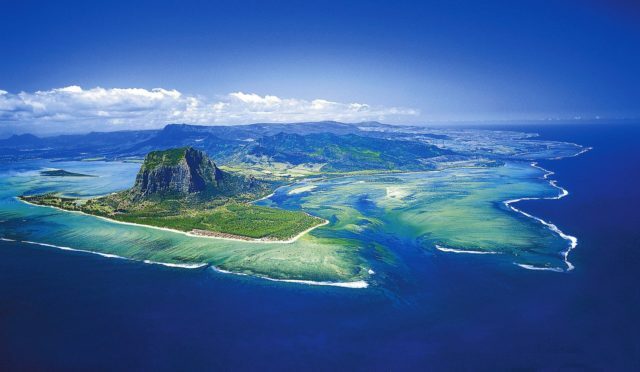 The biggest African island is Madagascar which is located off the East coast of Africa in the Indian Ocean. Madagascar island which is also previously known as the Malagasy Republic is the 4th largest island in the world (Borneo, Greenland and New Guinea are the only larger islands) as well as numerous smaller peripheral islands. Madagascar is over 1000 miles (1580 km) long and 350 miles (570 km) wide. Following the speculated prehistoric breakup of the supercontinent Gondwana, Madagascar split from India around 88 million years ago. It has an estimated total population of over 22 million people. Human beings started settling on the island around 350 BC and AD 550. These were the Austronesian people from Borneo. They were joined around AD 1000 by Bantu migrants crossing the Mozambique Channel from East Africa. The Malagasy ethnic group forms nearly the entire population of Madagascar and is divided into eighteen sub-ethnic groups. They are of mixed Malayo-Indonesian and African-Arab ancestry. Almost half the Malagasy are Christian, with practitioners of Protestantism slightly outnumbering adherents to Roman Catholicism. See Also: Which is the Largest Country in Africa by Land Size, Area and Population? Today, many Christians integrate their religious beliefs with traditional ones related to honouring the ancestors. For instance, they may bless their dead at church before proceeding with traditional burial rites. Once on the islands, days can be spent snorkelling and diving, pottering around on a bicycle or just lying on the beach. It is a place where travellers seeking exotic wildlife in a remote tropical setting should give a thought. Its most prominent feature would have to be the steep mountain range paralleling the entire eastern coast. As you might suspect, you’ll find great hiking (and mountain biking), white sand beaches (though sharks can be a problem) and classic coral reefs for divers. The Island has several street markets, botanical gardens, a zoo, and museum. It is always pleasurable to walk into the rainforest on a misty dawn to hear the eerie, wailing calls from troops of indri lemurs. Madagascar island is perfect for relaxing. After the adventurous experience of Madagascar’s rainforests, one other interesting thing here is the Malagasy culture, that is, the culture of the people of Madagascar. Their music is actually listed among top world music charts. Madagascar is really an island of extraordinary cultural richness. The splitting which took place millions of years ago as mentioned earlier, allowed native plants and animals to evolve in relative isolation. Consequently, Madagascar is a biodiversity hotspot and more than 90 percent of its wildlife is found nowhere else on Earth other than on the island. You will be surprised to see most of the endangered species of animals still existing there in great numbers. There are animals that will fascinate you, while others will leave you stunned or even scared. Some of them, you may not have dreamed were ever in existence in this world! Some of the better-known animals in Madagascar include Aye-aye, black lemur, dwarf lemur, (they are found almost everywhere in Madagascar), Bamboo lemur, Indri, ring-tailed lemur, falanaka, Tenrec, day gecko, spear-nosed snake, tomato frog, pill millipede, and many others. However, the island’s diverse ecosystems and unique wildlife are threatened by the encroachment of the rapidly growing human population and other negative environmental factors such as pollution, deforestation, bush burning, erosion, etc. 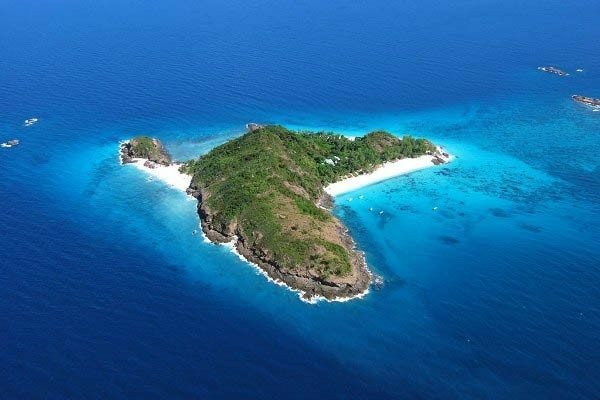 All the same, the island is still one of the most remarkable in the entire globe. Madagascar experiences two seasons. The first is a dry cooler season which kicks off from May and lasts until October. The second is a hot rainy season which kicks off in November and lasts until April. The island country has a population of 24.89 million, as of 2016. Madagaskar goes by other names which include: Madagasikara, Malagasy Republic, République de Madagascar, Repoblikan’i Madagasikara, Isle of Saint Lawrence, and the Republic of Madagascar. Madagascar is today an island, but it hasn’t been so previously. It was connected to Africa’s mainland millions of years ago. The country was formerly colonized by France. It regained freedom in 1960. French and Malagasy are Madagascar’s two official languages. Madagascar’s economy is not really a healthy one as approximately 70% of its inhabitants survive on less than $1 per day. The country houses a very young population. Over 60% of its inhabitants are said to be under the age of 25.